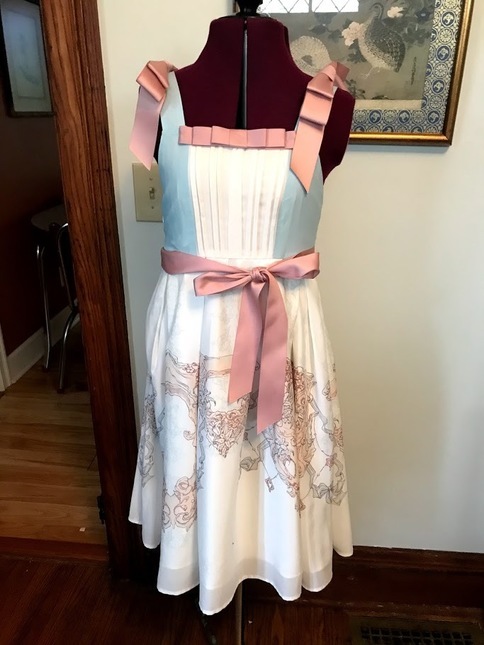 Lovely delicate JSK from Temple of Time. 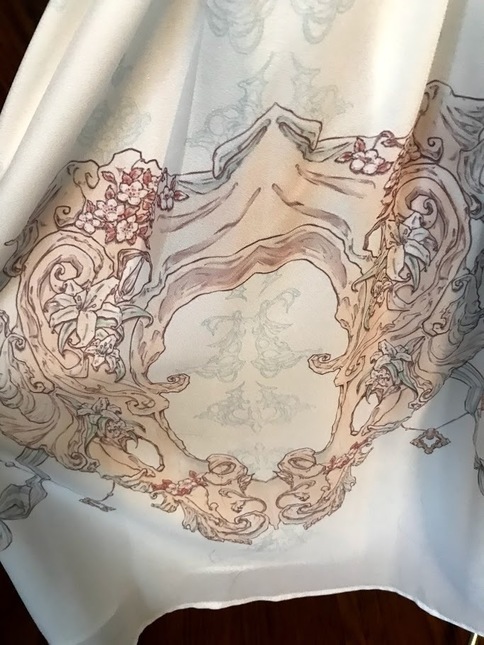 In the white colorway with sax and pink details. 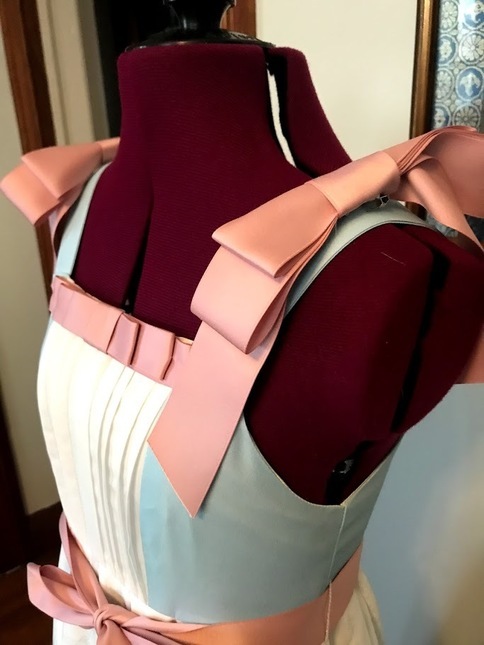 the sash and the shoulder bows are removable. NWOT. 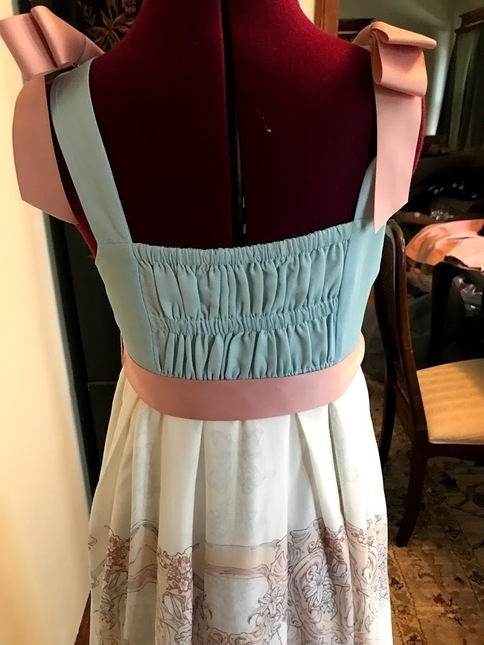 Has a side zipper and back shirring panel. 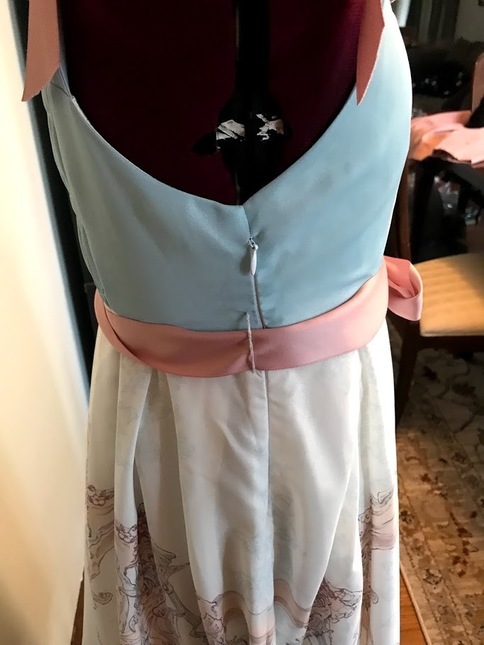 What's the minimum bust of this dress? I think there's a typo in the description.